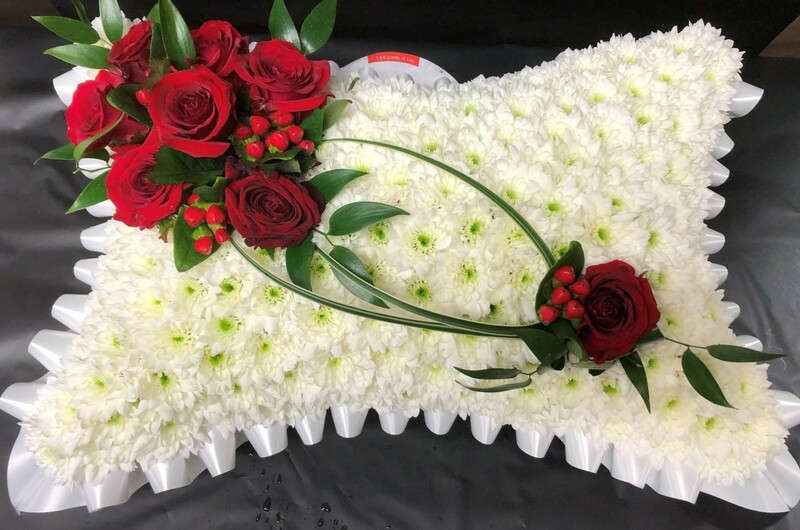 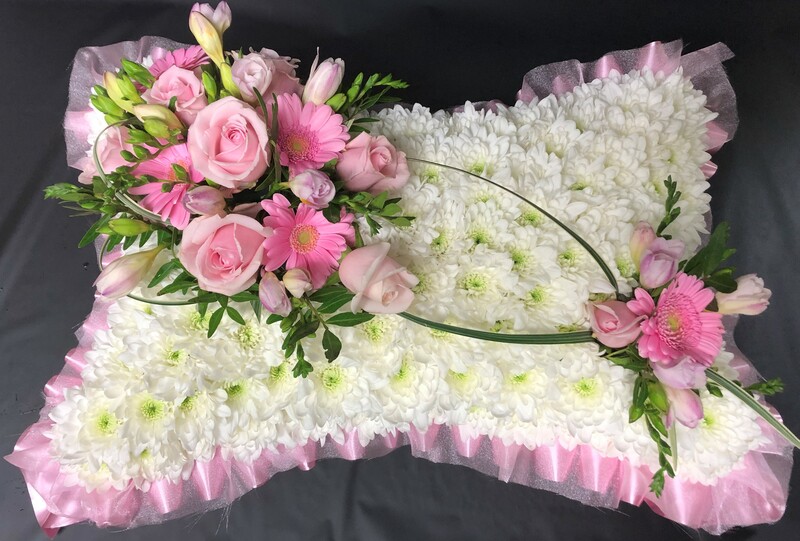 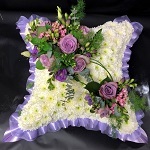 Pillows and cushions Funeral Flower Tributes. The pillow or cushion arrangement is used to symbolize eternal rest. 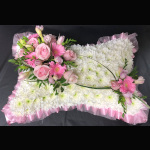 A white based pillow with a pink ribbon edge and spray to complement. 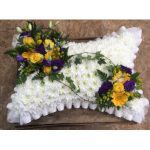 A white based pillow with a yellow ribbon edge and spray to complement. 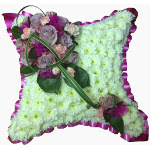 A two-toned based cushion with a pink ribbon edge, mauve and white chrysant base, complemented with a pink flower spray. 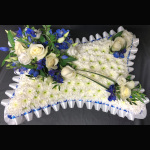 A based pillow with a blue and white ribbon edge and spray. 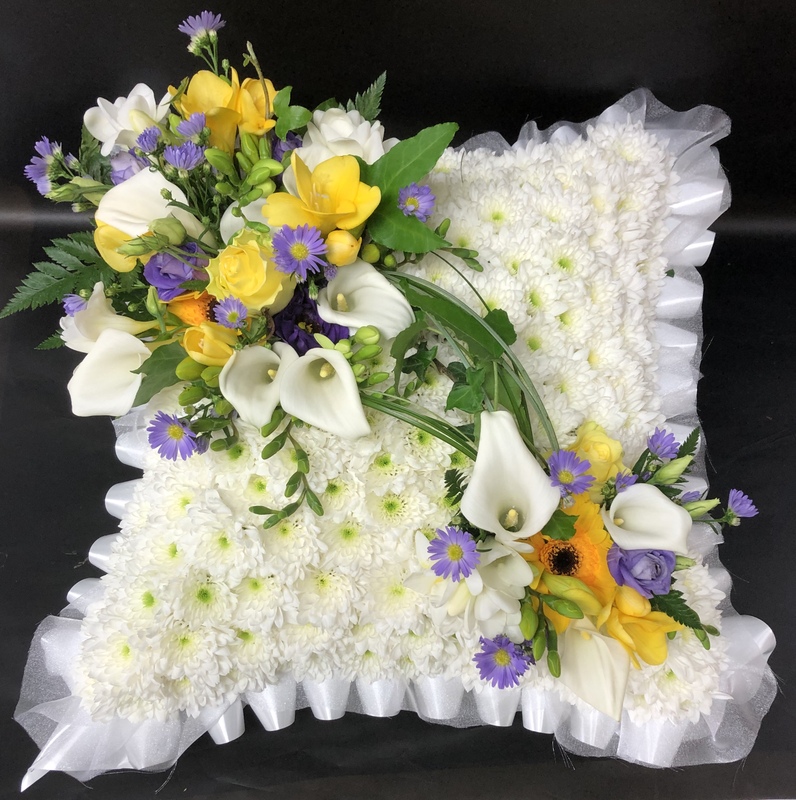 A white ribbon edged, white chrysant based pillow with 2 small sprays consisting of yellow and blue seasonal flowers. 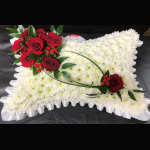 A white based pillow with a red ribbon edge and spray to complement. 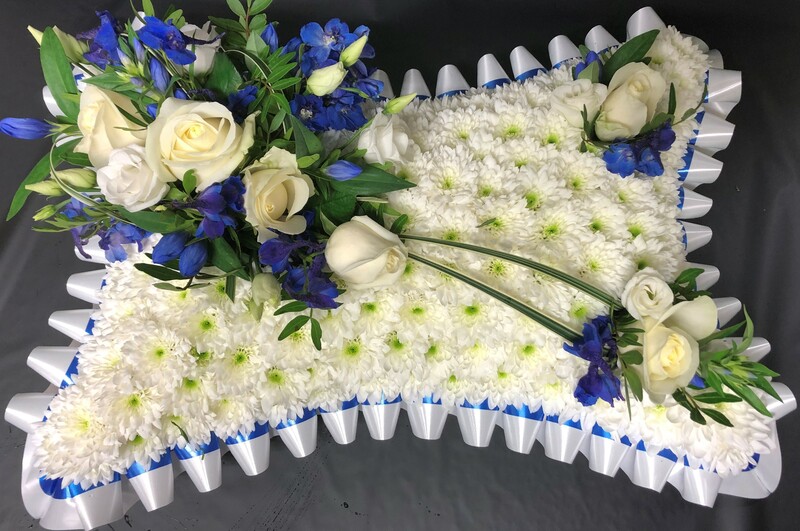 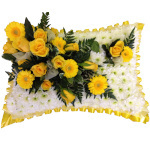 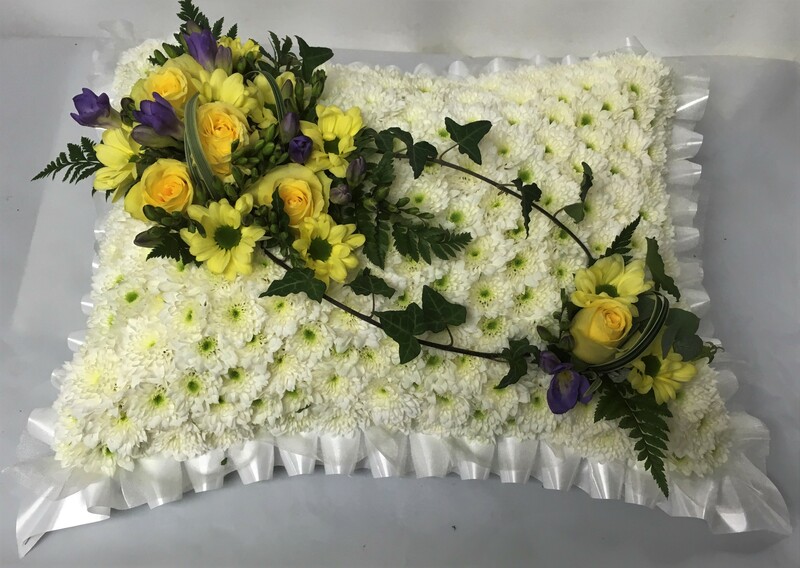 A white ribbon edge and based cushion, with a seasonal yellow and blue flowered spray to complement. 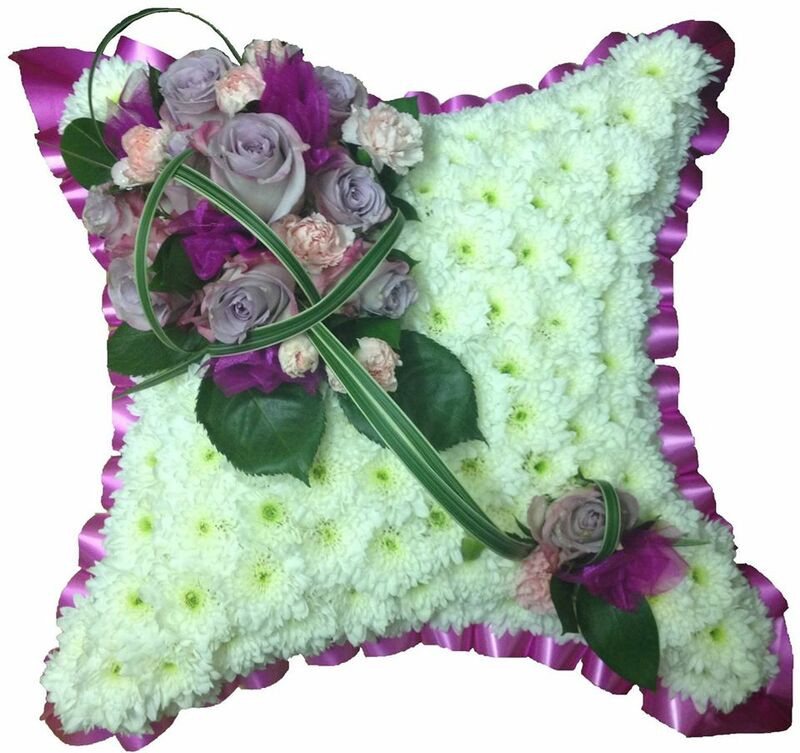 This cushion shaped tribute can be made in colours of your choosing. 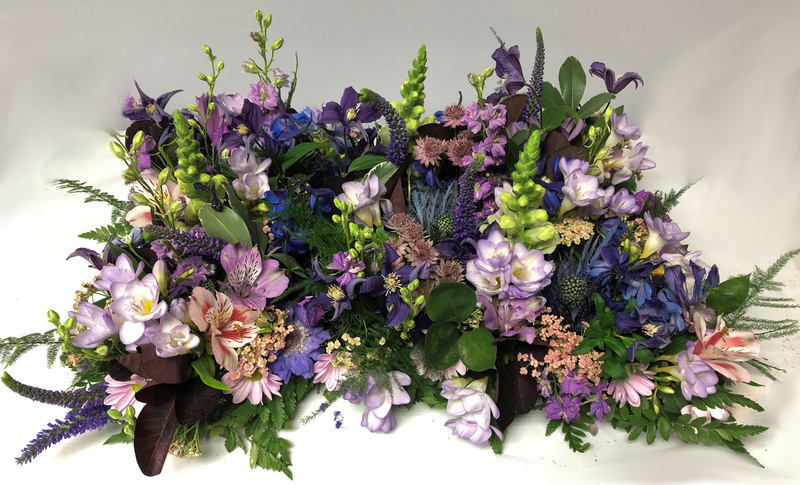 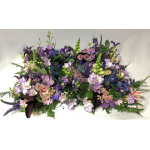 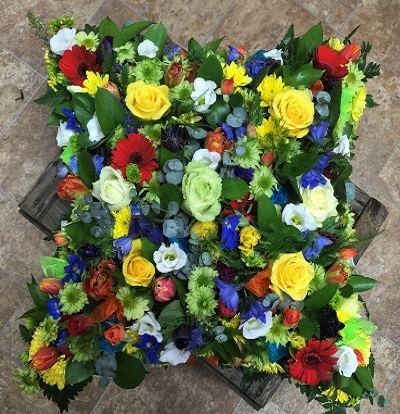 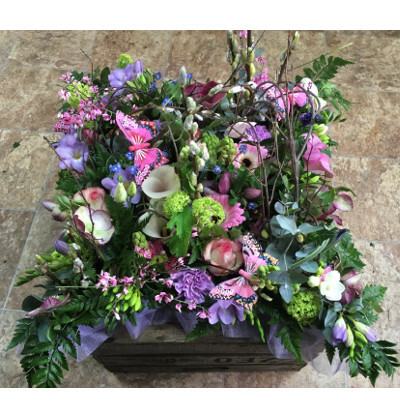 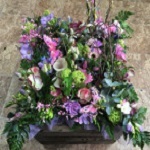 A gorgeous mix of bright and vibrant multi colour seasonal flowers make up this loose cushion tribute. A mixed seasonal flower secret garden style tribute on a pillow base. 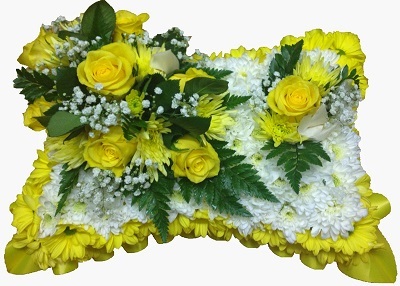 Please state your preferred colour when ordering.